Many of us met with a situation when due to improper parking, see how tow truck takes your car or has already taken. 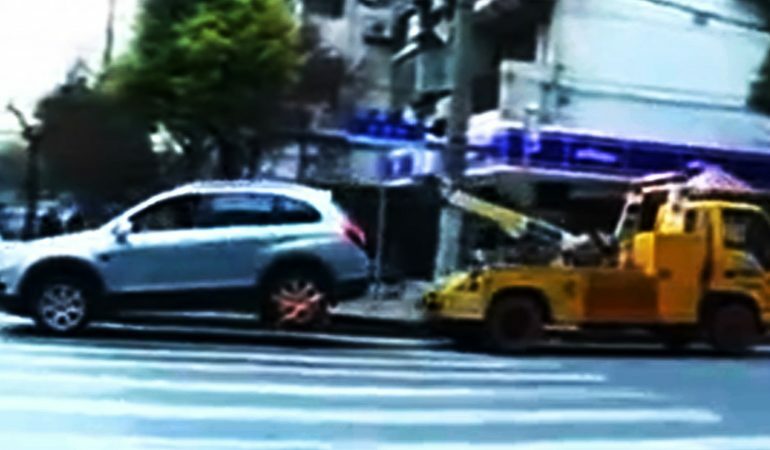 In one Chinese city happen this interesting situation where a young lady caught how tow truck just takes her car. After that, she began to argue with tow truck driver, but what she did after that no one expected.